In the January issue, Forward in Christ (FIC) magazine is debuting a new column devoted to parenting topics. Titled Heart to heart: Parent conversations, the new column is designed to have the feel of a conversation between parents. Each month one topic will be discussed by a diverse group of parents. More than anything, Balza says that the editors want this column to be an honest forum for Christian parents to build each other up and support each other. An important component of that support will be the opportunity for readers to join the conversation online. Visitwww.wels.net/forwardinchrist and look for the link to the Heart to heart site. Read uncut versions of the articles, learn more about the authors, and share your thoughts and reactions. 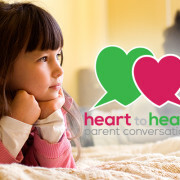 The first topic discussed in Heart to heart is how families are adjusting to life in the digital age. January’s writers tackle iPad use, texting, and digital multitasking. Learn how three WELS families are dealing with our world’s digital distractions—and hear some of their tips for keeping technology in check so that it’s a blessing for families. Looking for other great articles to help you in your daily walk of faith? Go to www.nph.net/fic to subscribe to Forward in Christ. Heart to heart: Parent conversations: Bullying? WELS churches and schools featured in their local media. Print out the latest edition of Together to share with your congregation. Call Reports detail when pastors, teachers, and staff ministers change positions within WELS.